10 West Graduate Commons has spaces for independent study, group work and networking. 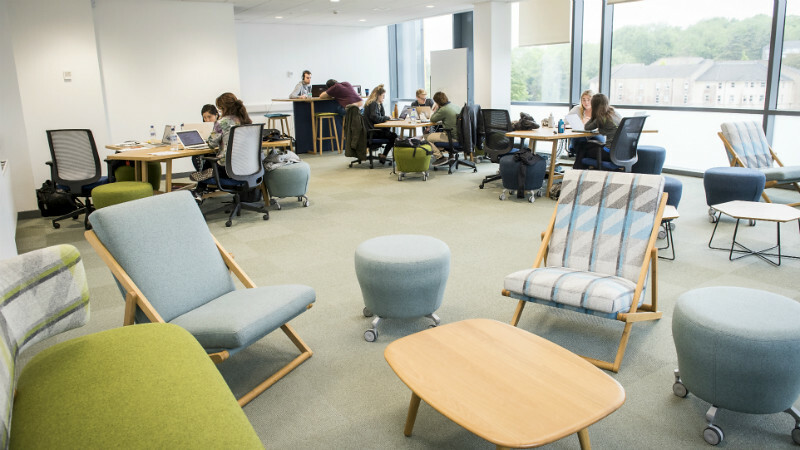 The Graduate Commons is open to taught postgraduate and research students. You can use the rooms for independent study, group work, networking and meeting with other postgraduates. You can book level 5 rooms, 5.01 and 5.07, by contacting the Doctoral Engagement Manager at doctoralengagement@bath.ac.uk. The rooms on level 4 are non bookable, and as such are available on a first come, first served basis. Kitchen facilities are available on level 5. Find out more about 10 West. The Graduate Commons can be accessed by swipe card.